Long work days into the last day before Christmas and the winter is seriously here in Stockholm. 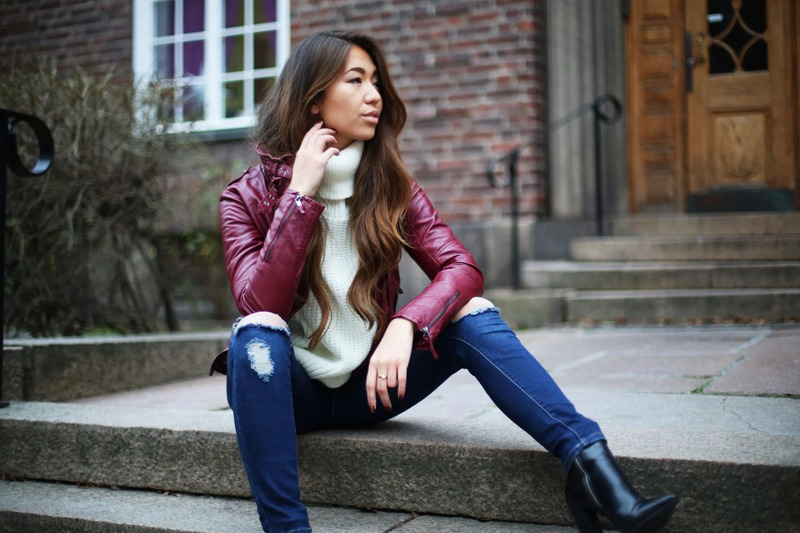 It's so cold you almost can't even stay warm inside... Layering up with a cosy knit and red leather to fight the cold. The only thing on my mind right now is that J is here in 3 days and she always know how to make me smile. Can't wait for a week of laughter and fun projects!